The results of Pro Carton’s European Consumer Packaging Perceptions study were first previewed in the latest edition of the Pro Carton magazine and at the ECMA Congress back in September. The printed research report now has been published and is also available for download from our website. The research clearly showed the enormous importance that consumers are placing on environmentally-friendly packaging and the mood for change. Whilst the report covered the main findings from the research I wanted to also share some of the statistics that didn’t make the final edit. For those that are unfamiliar with the study, it was conducted by Coleman Parkes Research during the summer amongst 7,000 respondents split equally across seven countries France, Germany, Italy, Poland, Spain, Turkey and the United Kingdom. The first thing that struck me was how similar the results were overall in each country. The environmental issue has clearly caught the attention of consumers across Europe with results in the Eastern part of Europe largely consistent with those from the West. The world is, for better or worse, becoming more of an homogenous place. One of the most striking results was the huge number of people that claim to be prepared to pay more for products in more environmentally-friendly packaging. 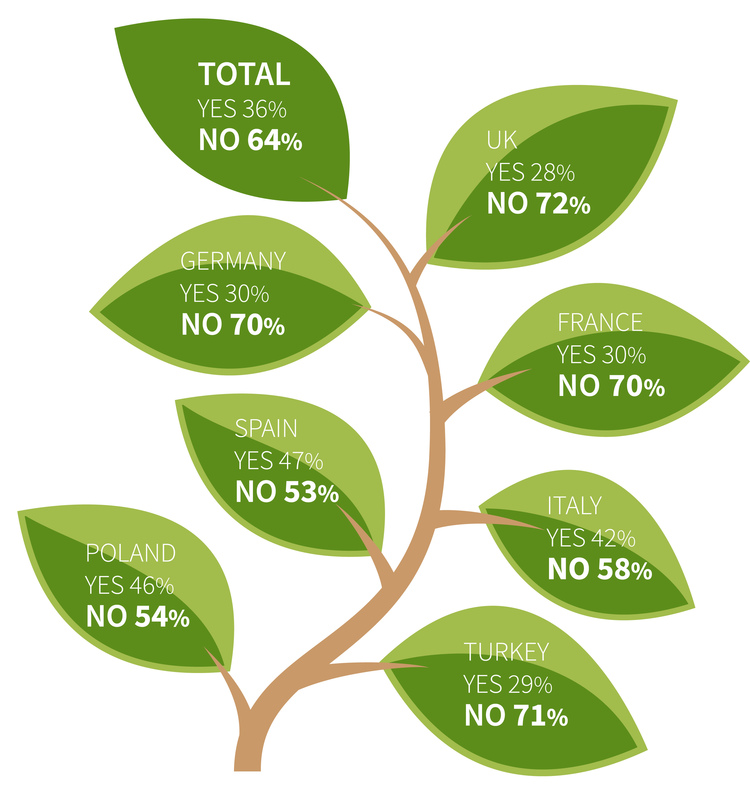 Nearly 4 out of 5 consumers said they were willing to pay more if the packaging didn’t harm the environment with Poland being the country most willing to pay extra. Of course, there’s a difference between behavior and attitude but I was surprised by this number and it clearly demonstrates the strength of feeling. How much extra would you pay for a product if it meant that the packaging of your desired product has less impact on the environment? 77% would pay more! Consumers are also concerned by the pace of change or rather the lack of it. 64% think retailers and brands are not doing enough to introduce environmentally-friendly packaging with consumers in the UK the most critical. In your opinion, are retailers and brands doing enough to introduce environmentally-friendly forms of packaging? Something I found surprising was that tin/cans were seen as being the least recyclable and environmentally-friendly material even behind plastic. Clearly Metal Packaging Europe (the trade association of the beverage can and metal packaging industry) have a big job to do. Encouragingly, cartonboard was seen as the most environmentally friendly material by some distance. 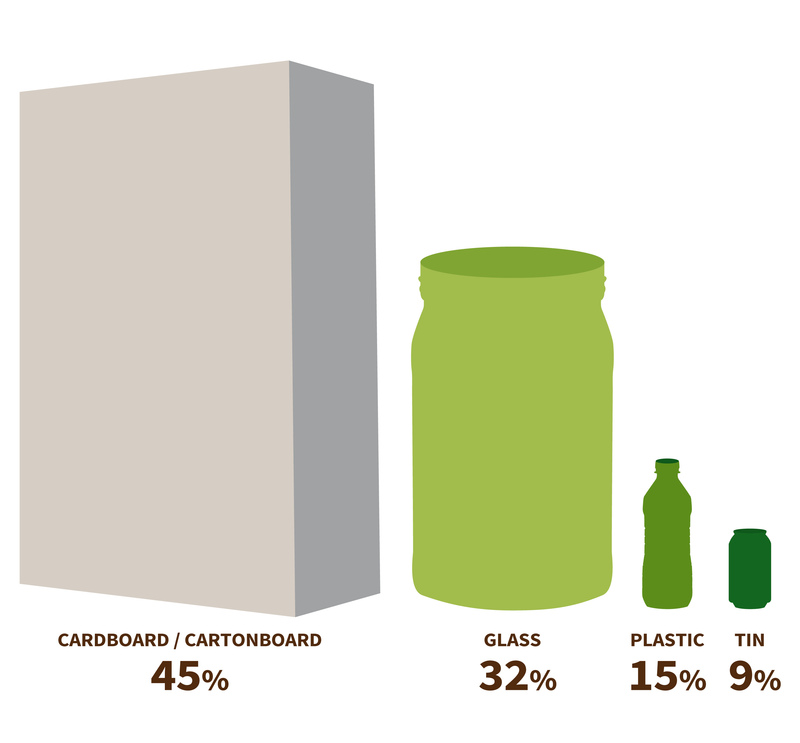 What is the most recyclable form of packaging? Cartonboard, of course. Now for some things you won’t find in the report but are still interesting particularly for those working in the carton/cartonboard industry. Whilst 71% of those surveyed said they were concerned about the environmental impact of plastic packaging, 41% had similar concerns about cartons/cartonboard. This seems to mainly arise from the misconception about deforestation in Europe. Readers will be aware that in recent years European forests have been growing at a rate equivalent to 1,500 full size football pitches every day but the message needs reinforcing. According to the research, most consumers do, however, understand that cartons/cartonboard is biodegradable and makes good use of recycled material. One question where there was a marked difference in opinion by nationality was whether a tax should be introduced to force brands and retailers to adopt more environmentally-friendly forms of packaging. In Italy 74% of the population agreed with this statement with 49% strongly agreeing – almost twice as many in the other countries. It’s probably not a coincidence that in October this year Italian government ministers had called for a new green economic model that does not focus on profit maximisation. He added “Those who are in charge of economy must think about a principle, not an increase of profit as the main reference point, but the right earning, the right profit. There is a big, big difference.” A very different approach to commerce and the economy and one it would seem that is in tune with Italian consumers. The age of the respondents, not surprisingly, showed some differences in attitude. The most concerning perhaps was the on the question of deforestation with older consumers far more informed than the younger ones. 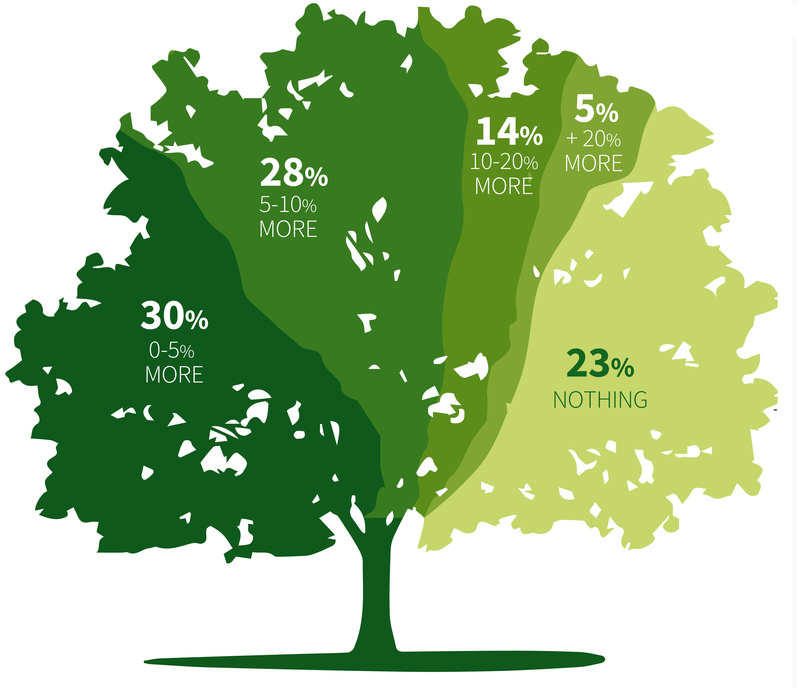 Whilst less than a third of over 60s thought that cartons/cartonboard causes deforestation, 47% of 19-29 year olds thought that it did. Clearly, the industry needs to communicate with young consumers which makes activities like Pro Carton’s new schools education programme (TICCIT – Trees into Cartons, Cartons into Trees), the Pro Carton Young Designers Award and our growing presence on Facebook, LinkedIn and the like, even more relevant and important. Your support of these and other activities is key, so please encourage your family and colleagues to “follow”, “share” and “like” us on social media and help spread the cartonboard message – renewable, recyclable, biodegradable, truly sustainable – to the younger generation. If I’ve whetted your appetite you can read more in the report. It’s available in several languages, along with the Infographics which can be used in your presentations.